Some days I don’t feel like cooking and will look to the freezer for a quick meal. 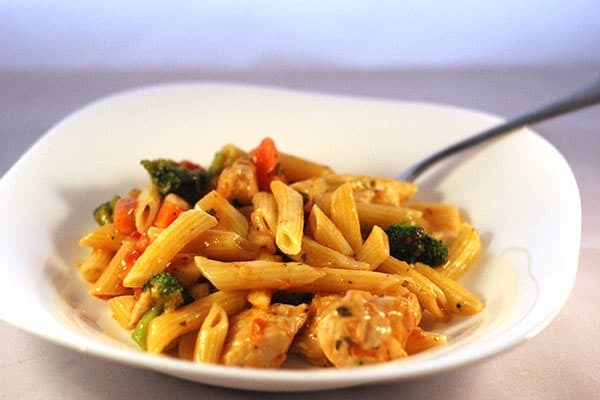 This past week, we have been dining on Lean Cuisine Fresh Inspirations and they make a tasty meal! The Simmer & Steam tray is pretty neat. The meat simmers in the sauce while the vegetables steam all in the microwave. They are in two separate compartments so you can eat them separate or mix them together. I prefer mine mixed together. 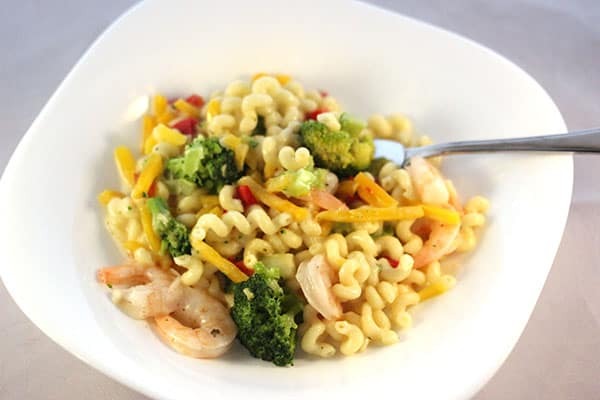 They make for a healthy lunch/supper and would be perfect to bring to work for lunch. Even my 8 year old daughter liked the one she tried: Mediterranean Chicken. My personal favourite was the Roast Garlic Chicken with veggies steamed to perfection and a creamy sauce with loads of flavour. They were the perfect portion size for me, although John said he wished they were a little bigger. 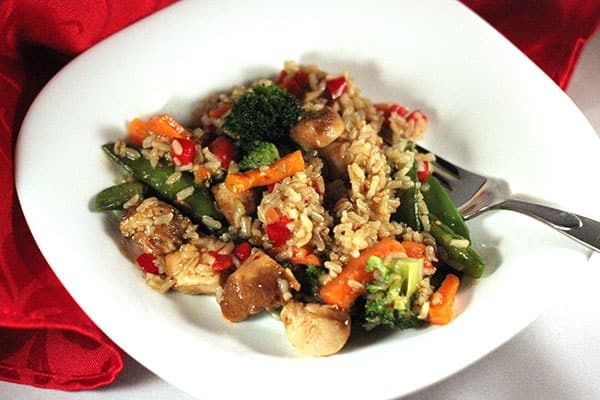 Chicken Teriyaki with brown rice, snap peas and a vegetable medley. For more information, check out Lean Cuisine. They also have meal plans, exercise & wellness tips to help you maintain a healthy lifestyle. I can’t believe this is Lean Cuisine! Looks delicious! I used to eat Lean Cuisine all of the time. They have come out with so many new ones lately and I would love to try them all. I could eat them every night but there is no way I could get my husband to eat them. He’s a meat and potato guy. 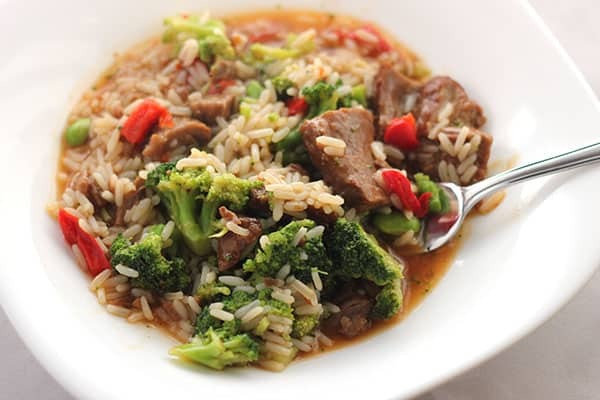 I have tried many of the new Lean Cuisine dishes and they are very tasty! Surprising since it seemed not long ago a frozen meal tsted just like it sounded frozen and blah! 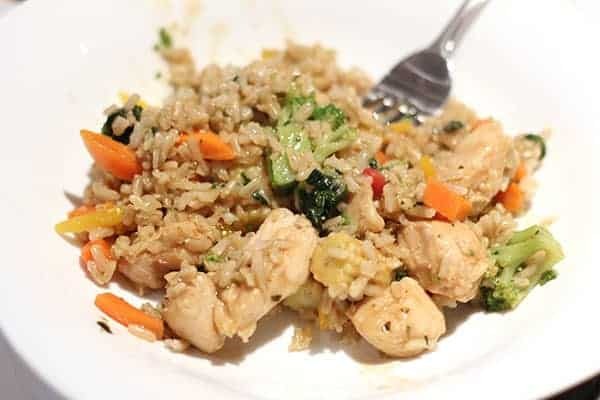 My entire family enjoys them when I am not up to cooking, paired with a delicious salad and dinner is ready quickly and painless. I have only tried the shrimp Alfredo, can’t wait to try some more. These look really good. 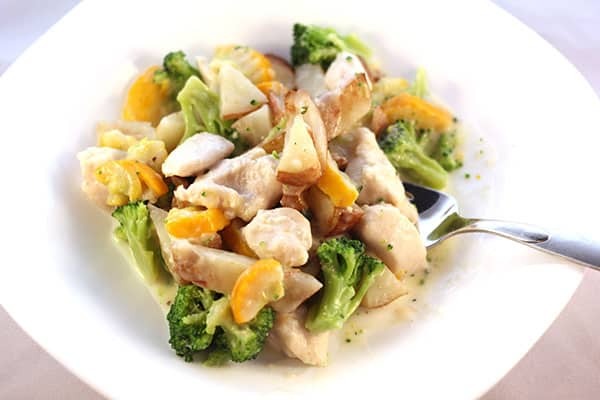 I would love to try the Roast Garlic Chicken with veggies. Yum! Mmmm………they all look so so good. Alot of them have rice in them and we love rice here in my house. When Im hungry for a snack I often make one of these to. Cant wait to try some of these. Lean Cuisine has excellent deozen meals. I love the variety and how healthy they are compared to other frozen meals. I haven’t tried any of these meals yet, but I plan to, especially the Mediterranean Chicken. I love lean cuisines, and I love that they have vegetarian selections, too! I eat Lean Cuisine twice a week to keep my weight down. They have so many dinners that I never get sick of them. With a salad it makes a great meal. Hello, SS. I like that you review included pictures of all of the flavours. They look tasty but look like they would not be filling for me. Though I am impressed with the amount of food in terms of portion size. They do look fairly healthy with quality ingredients. Thank you for the Uncle Ben’s giveaway, Simply Stacie. Looks good! I have learned the convenience of using these meals sometimes. I often add more meat/veggies or spices to bulk them up. A great way to make stuffed bell peppers or enchilada casserole is to use a healthy microwaveable meal for the inside. There are many varieties to choose from and some are really good. I love Lean Cuisine meals! I never feel like I’m dieting when I eat them. My wife introduced me to these and I love them. The old ones where soggy and some parts would cook too much and others were cold, they finally have it down to a science and they nailed it.